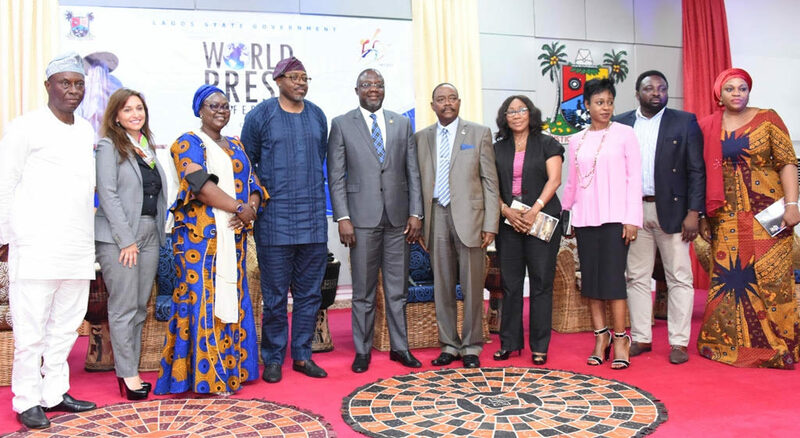 The Lagos At 50 Planning Committee on Monday unveiled a range of activities for the final celebration of the State’s Golden Jubilee anniversary at a world press conference at the Banquet Hall in Lagos House, Ikeja. The year-long celebration which kicked off on May 27, 2016, according to the Commissioner for Information and Strategy, Mr. Steve Ayorinde, has featured a series of events that had held on the 27th of every month like the Lagos Art Expo, Lagos Contemporary Dance Festival, Lagos Theatre Festival, as well as several lectures, symposiums, etc. According to co-chair of the ‘Lagos At 50’ Planning Committee, Mr Habeeb Fasinro said the final lap of the celebration would kick off on Saturday, April 8and culminate on Saturday, May 27, 2017. Fasinro, who was joined at the conference by other members of the Committee including Professor Ademola Abass, Hon. Adebimpe Akinsola, Mrs. Sarah Boulos, Mrs. Chika Balogun, said the events lined up for the celebration has been carefully selected to tell the story and journey of the state, from 1967 till date. He said the event would kick off on April 8, with a special Musical Play tagged “Wakaa” produced and directed by ace producer and director, Bolanle Austen-Peters at the Muson Centre, Onikan Lagos. After which the celebration would continue on April 13 with a three-day Broadway Musical Concert tagged “FELA” based on the life and times and the Afrobeat creator, Fela Anikulapo Kuti. The musical will be performed by a combined cast of the original Broadway production and the Royal National Theatre production under Bill T. Jones. Fasinro also mentioned that a Boat Regatta parade would hold on April 15 in Epe, Badagry and Lagos Island to showcase the State’s aquatic asset to residents and visitors alike. 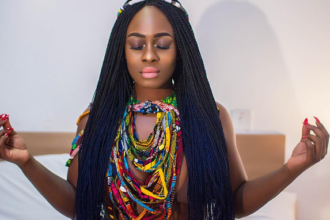 Followed by a Jazz Meets Fashion event on April 30that will feature Grammy award winning Jazz artistes and Nigerian musicians alongside a runway display of the evolution of fashion in Lagos State over the past 50 years. He added that the celebration would continue on May 1 with a Special Workers’ Day celebration by both active and retired civil servants with a special parade in the morning at the Agege Stadium and a dinner in the evening. While on May 5, five of the highest box office Nollywood films and five Nollywood classics would be screened to local audience in the five divisions of the State – Ikeja, Badagry, Ikorodu, Lagos Island and Epe. Fasinro said a Lagos Carnival would also hold on May 13 on both the Island and Mainland zones of the State and extend to the different communities and ethnic groups in Lagos, while the Eyo Festival, last staged five years ago, would make a grand return on May 20 at the Tafawa Balewa Square. He also said that on May 24, all former Governors of the State will join Governor Akinwunmi Ambode in council for a Special State Executive Council Session, while the Judiciary and House of Assembly would hold same on May 18 and May 22 respectively. The grand finale slated for May 27, which coincides with Children’s Day Celebration would feature a historic gala night that would have a rich blend of good music, the best of Lagos cuisine, photo exhibition and the unveiling of a special coffee table book that captures the essence of Lagos through the lens of 50 accomplished photographers. Fasinro said that although the 50-day festivities ends on May 27, the celebration of the State’s Golden Jubilee would continue throughout the year with series of events to celebrate the State’s rich cultural heritage. 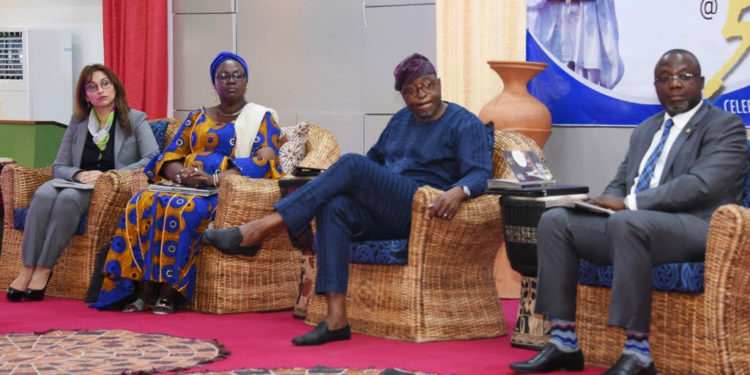 He also enjoined residents to key into the various events, adding that the anniversary is “a celebration of Lagosians, by Lagosians, for Lagosians”.